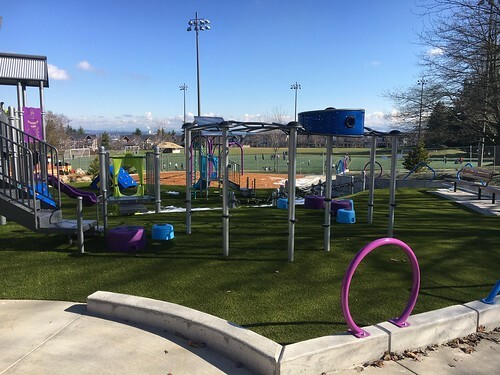 Seattle Parks and Recreation invites the community to participate in the Puget Ridge Playground renovation meeting on Wednesday, June 6, 2018 from 4 to 6 p.m. Please join the project planner, project manager and landscape architect in the park, 6029 21st Ave. SW, to review the schematic design and provide input. 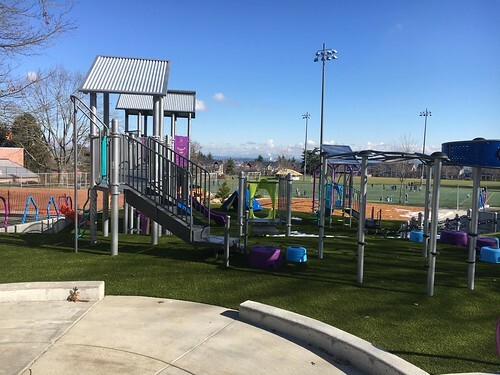 This will be the final public meeting for the Puget Ridge Playground Renovation Project. 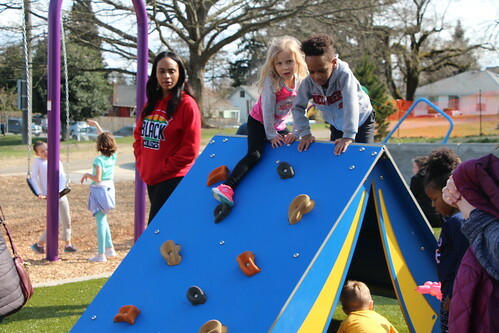 This renovation project will enhance the community-built park features with play structures for children ages 2-5 and 5-12; play structures will be accessible to children of all abilities. 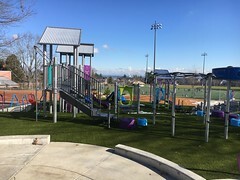 The intent is to maintain the charm of the small park and enhance the safety and play area accessibility in compliance with the Americans with Disabilities Act. We need your input! Thank you to everyone who attended in April and participated in the online survey. Funding for this park project is provided by the Seattle Park District. Approved by Seattle voters in 2014, the Seattle Park District provides more than $47 million a year in long-term funding to Seattle Parks and Recreation for maintenance of parklands and facilities, operation of community centers and recreation programs, and development of new neighborhood parks on previously acquired sites. Seattle Parks and Recreation (SPR) invites the community to the Hall at Fauntleroy at 6:30 p.m. on Wednesday, May 31 to learn about the Lowman Beach Park seawall and provide input on design options. The Hall at Fauntleroy is located at 9131 California Ave. SW.
Lowman Beach Park is a neighborhood park on the water located just north of Lincoln Park at 7017 Beach Dr. SW. At this meeting, SPR will present the project background, analysis of the coastal processes (wind, waves, tides, sediment transport/littoral drift) and design options, as well as gather community input. The Lowman Beach Park seawall is failing and needs to be removed or replaced. As visitors to the park have seen, the existing seawall is slowly falling over towards the water. It is SPR’s goal to remove the remaining seawall and continue the shoreline restoration work that began when the south half of the seawall failed in the mid-1990s. We hired Environmental Science Associates (ESA) as a design consultant to undertake a feasibility study to look at options for removing the seawall, taking into consideration both the habitat benefits of the seawall removal and the coastal engineering ramifications of that seawall removal. Given the design constraints of the project, it is likely that the existing tennis court will remain in place. For more information, please visit https://www.seattle.gov/parks/find/parks/lowman-beach-park. If you have questions about the project, or if you need an interpreter or accommodations please contact David Graves, SPR Strategic Advisor, at david.graves@seattle.gov or 206-684-7048. Seattle Parks and Recreation (SPR) invites the community to learn about the opportunity to expand Cove Park through a land swap with King County. SPR is hosting a public meeting on Tues., May 24, 2016 from 6:30 to 8 p.m. at the Emerald Room in Hall at Fauntleroy, 9131 California Ave. SW. This is an opportunity for the community to learn about the project and provide input. Seattle Parks and Recreation planner Chip Nevins will present the proposal, answer questions and gather community input about the proposed trade. The property, 8923 Fauntleroy Way SW with 35 feet of beach front, is immediately to the north of Cove Park in West Seattle. It lies just to the north of the Fauntleroy Ferry dock. In 2015, the King County Wastewater Treatment Division finished the upgrade to the Barton Pump Station, next to the Fauntleroy Ferry Terminal, to accommodate West Seattle’s growing population. As part of the construction of the new pump station, King County acquired the property just to the north of SW Barton Street, which was used as their temporary construction offices. Now that the project is finished, King County no longer needs the property and is proposing to trade it to the City in exchange for the vacation of the portion of the SW Barton Street right-of-way where the pump station is constructed. Seattle Parks and Recreation will replace the small craft launch at Seacrest Park after more than 20 years of use. To help increase public safety, part of the park’s parking lot, the bike racks, and the outside seating area on the deck will be closed while work is being performed. Seattle Parks anticipates the majority affected areas to be closed from 7 a.m.-3 p.m. on Monday and Tuesday, June 15 and 16. Bike racks will be closed Friday, June 12, and re-opened on the afternoon of June 16. Seacrest Park is located at 1660 Harbor Ave. SW in West Seattle. For more information about the park, please visit http://www.seattle.gov/parks/park_detail.asp?ID=455. Seattle Parks and Recreation invites you and your family to celebrate Camp Long Mountain Fest and the 75th anniversary of Schurman Rock from 11 a.m. to 5 p.m. on Sunday, Sept. 14, 2014. Camp Long Mountain Fest celebrates Seattle’s mountain climbing history and community. Visitors can challenge themselves on the high ropes course and try climbing and rappelling on Schurman Rock (with waivers). 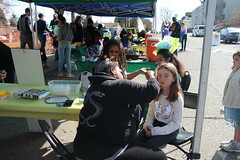 There will be mountain games and interactive workshops for people of all ages and abilities and prizes will be awarded. Jim Whittaker, the first American to climb Mount Everest, is scheduled to attend. All events are free and take place at Camp Long (5200 35th Ave. SW). Schurman Rock was constructed between 1938 and 1939 by the Work Progress Administration, and is believed to be the first man-made climbing structure in America. It was originally named Monitor Rock because climbing instructors could monitor their students from all sides of the structure. In 1957, it was renamed to honor Clark Schurman who designed it. Schurman, known as “The Chief,” was the chief climbing guide on Mount Rainier from 1938 to 1941. As a climber, he sketched and painted his journeys into a book published by The Mountaineers in 1939. Schurman thought it was important for novice climbers to have a practice rock. Schurman Rock stands as a legacy to his vision. For more information about Camp Long Mountain Fest, please call 206-423-3460 or visit seattle.gov/parks/environment/rock.htm. 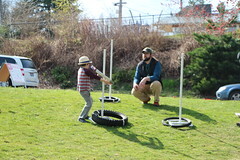 Camp Long Mountain Fest is sponsored by Seattle Parks and Recreation, the Associated Recreation Council, O2 Outdoor Opportunities and Mountain Madness. It was rainy, windy and muddy. But the ivy was out there, so the volunteers were too. On Saturday, March 1, about 40 volunteers ventured to Camp Long in West Seattle to remove invasive species of ivy under the supervision of EarthCorps. The volunteers hiked around a slippery forest slope, battling ivy on the ground and on the trees. EarthCorps and many other organizations host volunteer work parties in partnership with Seattle Parks and Recreation throughout the spring to keep natural areas healthy and flourishing. Helms said EarthCorps typically has around 50 people sign up for its events, many of them young students. Andrew Nguyen, a senior at Roosevelt High School, spent his Saturday morning at Camp Long to help fulfil his community service requirement for graduation. Marie Ong, a West Seattle High School senior, said she’d been to Camp Long a few times before with the O2 Program and was excited to do her part to keep up its forests. To see the full schedule of 2014 volunteer work parties, click here. Seattle Parks and Recreation’s Delridge Community Center will host an all-comers pickleball tournament on Saturday, Dec. 14 and Sunday, Dec. 15 at 4501 Delridge Way SW, 98106. The tournament is played with a mixed-doubles format, and matches are played with the best two of three games to 11 points. There is a two-match guarantee. Recreational and competitive-level players will compete in age groups. Ages range from 21 to above 90. The cost is $15 per team. Individuals looking for a pickleball partner may also register. Pickleball paddles will be provided if you do not bring your own. All participants will receive a medal. Winning teams will receive a trophy and bragging rights. Pickleball has elements of tennis, badminton and table tennis. It is played on a badminton court, with the net lowered to 34 inches at the center, with a perforated plastic baseball (similar to a whiffle ball) and wood or composite paddles. Although easy for beginners to learn, pickleball can develop into a quick, fast-paced, competitive game. Seattle Parks offers indoor pickleball at many community centers. The newly opened courts to the new Maple Leaf Reservoir Park has outdoor pickleball courts. For more information or to register for the tournament, contact Antoinette Daniel at 206-684-7092 or antoinette.daniel@seattle.gov. 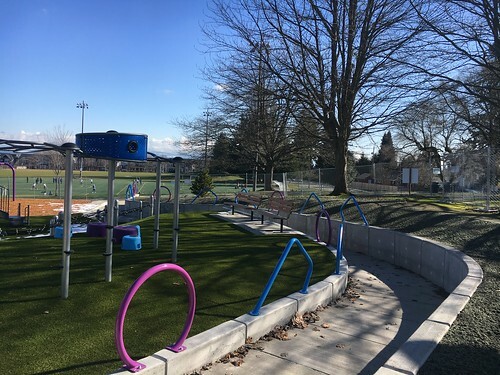 Seattle Parks and Recreation is working to refurbish and improve the tennis courts in two parks in West Seattle, Solstice Park, on Fauntleroy Way SW and Hiawatha Playfield in the Admiral District. The tennis courts will be closed during the scheduled improvements. Solstice Park courts will be closed from August 19 – 30, 2013. The refurbishment of theses tennis courts is funded through the Neighborhood Capital Project Fund. Hiawatha Playfield tennis courts will be closed from August 30 – September 7, 2013. Major Maintenance funds are the source of funding for minor paving repairs, acrylic color-coating, and relining of the tennis courts at Hiawatha. Please share this information with those who may be affected. For more questions or concerns during construction please call Linda Hubert, Project Manager, at 206-386-1696 or email her at linda.hubert@seattle.gov.